Rustoleum 4268 Heat Resistant Orange Primer is designed to withstand heats of up to 425°C in sheltered or interior environments. 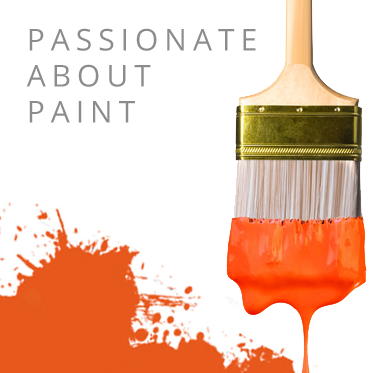 Rustoleum 4268 Heat Resistant Orange Primer is based on silicone alkyd modified resins and is part of our comprehensive range of heat resistant paints, available in orange. Rustoleum 4268 Heat Resistant Orange Primer is available in 5 litre containers and is designed to provide a heat protective surface to a variety of metal substrates. Rustoleum 4268 Heat Resistant Orange Primer is best used on metal substrates in industrial environments where a heat resistant surface is required. Rustoleum 4268 Heat Resistant Orange Primer is designed to withstand heats of up to 425°C in sheltered or interior environments. Rustoleum 4268 Heat Resistant Orange Primer 5 Litres can be applied using brush, roller or airless spray and has a quick drying time of just 30 minutes in temperatures of 20 degrees Celsius. Rustoleum 4268 Heat Resistant Orange Primer can be recoated after 24 hours. Rustoleum 4268 Heat Resistant Orange Primer 5 Litres has a theoretical coverage rate of 9.8m2 per litre and an overall coverage rate of 40-50m2 per container. Rustoleum 4268 Heat Resistant Orange Primer can be used on a variety of metal substrates, including new, bare or blasted steel and is ideal for use on things like radiators, engines and pipes in boiler rooms.